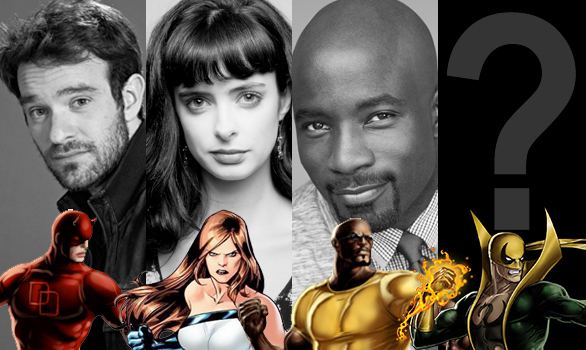 BleedingCool.com is reporting that the Netflix Defenders characters will appear in the Avengers: Infinity War, Part II in May of 2019. This would fall in line with the series, which involve Marvel’s street-level heroes Daredevil, Luke Cage, Jessica Jones and Iron Fist, as they would have already finished up their initial series runs, ending in The Defenders team up series. One a side note, they are also reporting that Agent Carter is about “75% confirmed for a second series”. Joe and Anthony Russo are set to direct Infinity War, Parts I and II from scripts written by Christopher McFeely and Stephen Markus.